To schedule a reading we have to know your PLACE, DATE & TIME OF BIRTH. Accuracy has been his ardent devotion for more than 40 years. Ron Watson uses a concise, logical, and easy-to-follow technique Cosmic Key © 2017 that uncovers the secrets to accurate predictions of events in one’s life. 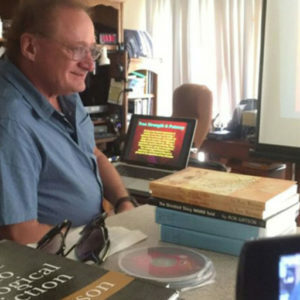 Many of Ron’s students, who are professional astrologers themselves, have confessed over the last year that the actual application of Mr. Watson’s technique to their clients’ charts is a fail-proof way to determine that it is the right time for life events to transpire. “I have used it many times, and it has always guided me into understanding the destiny of others”, confesses Barbara Ruzzene. His absolutely accurate predictive technique is genius by virtue of its simplicity. Every chart, every reading he is right on time and on the money! Not just being able to say that something “might” happen, but to see what almost certainly “will” happen can, indeed, transform your destiny. It is rightly called a “revolutionary astrology”. We offer unique astrological natal chart interpretations and forecasting based on revolutionary technique discovered by Ron Watson. The readings are amazingly accurate and are based on Ron Watson’s aspect interpretations and metaphysical messages engraved in your birth chart. Ron Watson will transform the way you envision certain events in your life giving you a new metaphysical understanding of the mythological archetypes in your chart: Saturn (Satan, Diabolos, Father Time, the Grim Reaper, Chronos), Jupiter (Zeus, Jesus), Venus (Love), Moon (Mother, subcontious). To schedule a counseling session with Ron Watson, please email him directly at info@aquarianawakening.com and mention your date, place and time of birth. Ron is available for consultation by Skype, or Face Time or in-person. The personal counseling session is at least an hour, and includes a one year transit report delivered via email. All astrological counseling sessions can be recorded upon request and will be emailed by mp3 download upon request. Ron is a ‘King among Kings’ …and a real gentleman to boot! With a half-century of Astrological Knowledge, and acquired intuition, Ron never fails to amaze…and what is furtherly amazing, is his eagerness to share this remarkable insight. While I’ve only known Ron for a relatively short time, I’m proud to call him a ‘Lifelong Friend’…we’ve definitely communed in another age. I do encourage everyone to “seek out the Master” and to tap into his wealth of knowledge…that he so passionately wishes to impart to all that would listen. I strongly suggest starting with one of Ron’s Books, “The Greatest Story Never Told” to get yourself acquainted with the man…and to open your mind to the realities of the world. Ron’s talents are awe inspiring and irrefutable…He appears to know more about me, than me!!! Check him out, get a reading, read his book, watch his YouTube Videos… IT’LL CHANGE YOUR LIFE . . .(for the better). Probably one of the best Readers around. Not only does he interpret your chart, he gives you remedies for your challenges. Also he possesses an acute intuition, which many astrologers do not have. That makes his readings even more powerful. Wonderful man, inside and out. I would highly recommend Ron and his services to all. Weather you are looking for answers, peace of mind, validation, or simply to set yourself back on a positive path. Ron’s gift is life impacting and he is truly here to help us, if that is what you are looking for. I am truly amazed at the information he shares. To know, that I couldn’t have changed what I came here to do, offers a new perspective, free of worry. There is no way Ron could’ve known the specifics of my life, prior to our session! He provides the PROOF that you are here with a purpose and can help you to understand your obstacles and make the changes needed to live life with happiness, not as a prisoner of the experience. If you are reading this review, then take the chance and hear your message. Take the leap of faith and make the call. You won’t regret it! Ron Watson is a remarkably wise and intuitive spirit. He is an alchemist, as he transformed his most challenging life experiences into a powerful catalyst for his spiritual growth. I absolutely, highly recommend you have a session with him. You will not be disappointed. Rather, he will provide clarity, guidance, illuminate blindspots, and provide wisdom and insight into how to move forward with gratitude. This man has incredible insight and patience. I am so happy I took the advice of a dear friend and even had a face time session with this amazing Sage. I received so much more guidance and wisdom than I ever could have expected. I hope this review helps you because I have not doubt Ron is the person who can answer your questions and redirect you to your path. An astrological chart will be done for 6 a..m and it will still reveal much information, but limits the timing and predictability of the events in one’s life with precision. Does Ron do phone reading? Yes, he will schedule phone session, but they will be recorded on his end upon client’s request. He would prefer to use Skype or Face Time. How long does it take to arrange a session? Generally, if his schedule isn’t fully booked, a reading can be arranged within 3 or 4 days. It requires time to prepare the charts and reports. Does the reading include a transit forecast? Most astrologers do not do both a natal chart reading and a transit forecast in one session, but charge separately for each. Ron’s readings include both in one setting. Ron will send you a one year transit forecast and will accurately use his unique and proven technique that has been developed over many decades called The Cosmic Key to Astrological Prediction to look both forward and backward to events in your life. It is a proven and powerful predictive technique that is a revolution in astrological forecasting. In a relationship reading Ron will look at two individuals’ charts and reveal the areas of their compatibility and/or potential conflict. Since this requires two individual charts and preparation, it is more intensive.The fee is adjusted accordingly. It is recommended that both parties are informed of the session beforehand. What is a transit forecast? Mr. Watson’s groundbreaking technique of prediction has been heralded by hundreds of his students and clients. 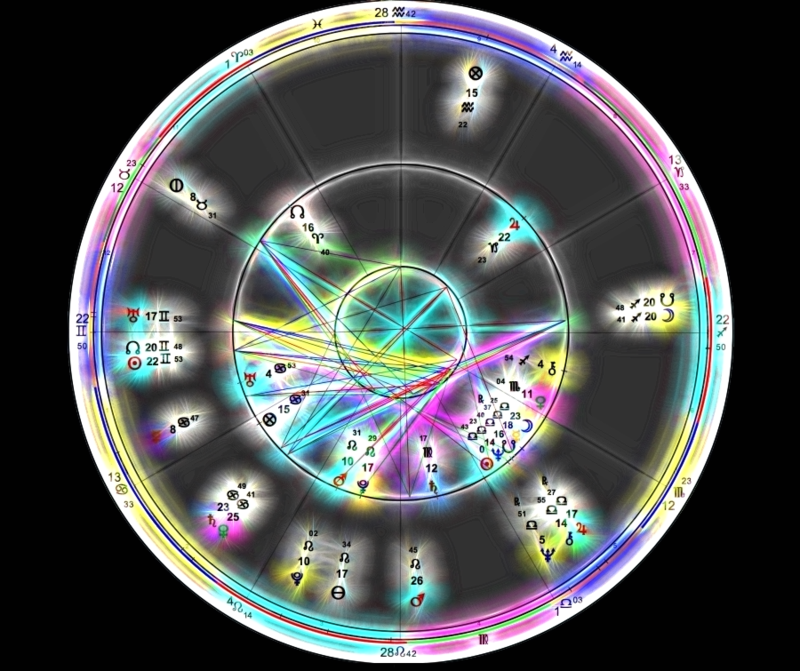 Even though he provides a traditional transit report for his clients, his main objective is to apply The Cosmic Key technique that is the culmination of years of research and practice based upon his clients’ charts to ascertain the unfolding of events in their life. This revolutionary technique has until now, never been available to the astrological community, but is transforming the methodology of predictive astrology. Its predictive ability is beyond reproach.